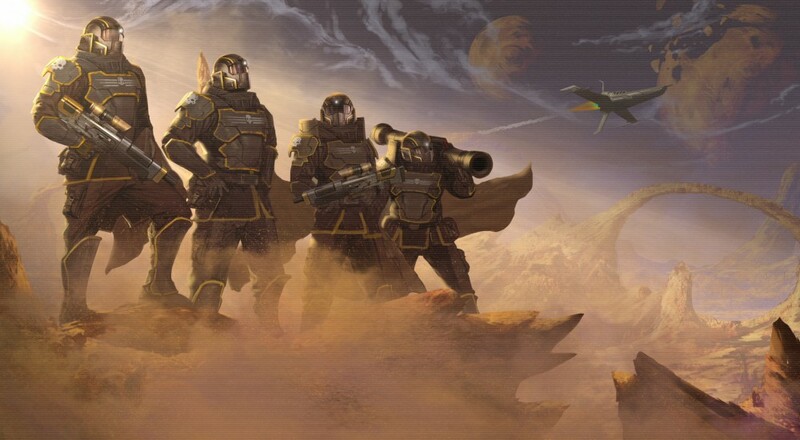 Helldivers will be dropping onto the PlayStation 3, PlayStation 4, and PlayStation Vita tomorrow. The twin-stick shooter takes the not-so-cooperative mayhem of Magicka into the world of tomorrow. Instead of "accidentally" killing your friends with deadly magic spells you'll now be able to "accidentally" kill your friends with heavy military ordinance. Neat. Yes, between PS4, PS3 and VITA, with full Cross-Save and Cross-Chat. Will it have local multiplayer or only online play? Helldivers offers 4-player local and online co-op multiplayer, and any combination in between (except for the Vita which doesn’t really support local co-op since it only has one controller). You can have two on the PS4, one on the PS3 and one on the PS VITA for example. Can you drop in and out? Yes, at any time another player can join the action. Just don’t stand under their Hellpods. Will it have friendly fire? In true Arrowhead spirit, Helldivers features full “friendly” fire, allowing you to “accidentally” kill your friends, again. Is there a single player offline mode? You can play the game offline with 1-4 local players. However when played offline, mission progress will not contribute to the global galactic campaign. Helldivers will be available for download from the PS Store tomorrow. The price is set at $19.99. The game supports cross-play, cross-save and cross-buy. That's right. twenty bucks will get you Helldivers on all three of Sony's systems. For more information be sure to check out our hands-on impressions from last year's E3.